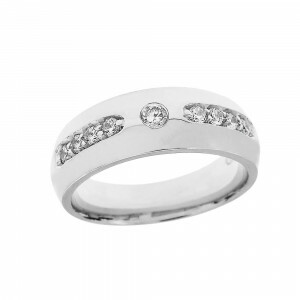 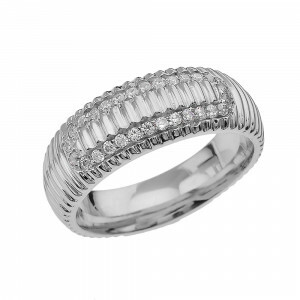 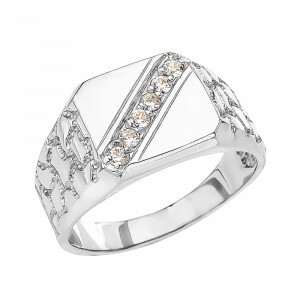 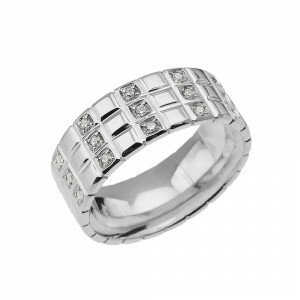 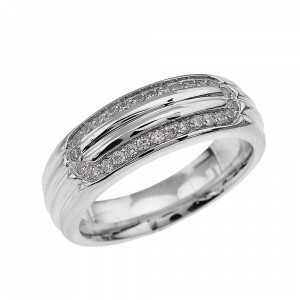 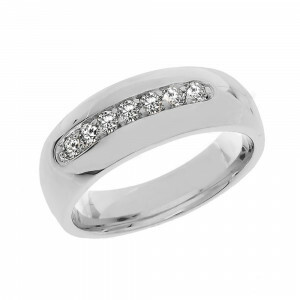 This unique men's diamond watch band ring is made of solid 925 Sterling silver. 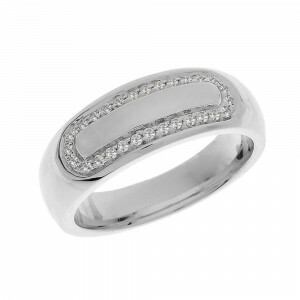 Ideal if you're looking for a step up from a classic sovereign ring, 9 diamonds sit in the centre of this statement piece. 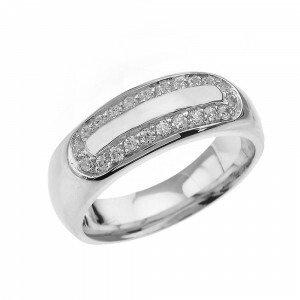 Team it with your favourite silver watch for a polished and coordinated look.